Zydrunas Savickas (the World’s Strongest Man) recently set a world record for the ‘Most Cars Pulled by One Man’ in less than 33 seconds. On the 2nd of December 2013 this impressive record took place. Savickas set the record by towing 12 new Nissan Notes which weighed in total 12,941kg! The five times World Strongest Man champion only had one attempt to set the new record. Confidence was high though as Savickas is widely regarded as one of the greatest strongmen of all time. The champion wore a specialised pulling harness and rope arrangement to pull the 12 Nissan notes over five metres. He accomplished the feat in an astounding 32.9 seconds. The all new Nissan note is 21kg lighter than its predecessor but that doesn’t make this record any less impressive. Zydrunas Savickas was born on July 5th 1975 in Birzia, Lithuania. His achievements as a strongman include being the only modern strongman competitor to have won every major strongman competition, most notably the World's Strongest Man in 2009, 2010, and 2012, the Arnold Strongman Classic on six consecutive occasions from 2003–2008, the IFSA Strongman World Championships in 2005 & 2006, Fortissimus in 2009, the Strongman Champions League overall title in 2008 & 2012, the World Log Lift Championships in 2008, 2009, 2011 & 2012 and Europe's Strongest Man 3 times in 2010, 2012 & 2013. Savickas stands at 1.91m tall and competes at 185kg, he is often referred to by his nickname “Big Z”. The record was held in Druskininkai, Lithuania. The attempt marked the end of the Lithuanian Car of the Year test camp. Crowds turned out from all over the country to see their national hero Savickas set the new record. The strongman was presented with a certificate from Guiness World Records representative Jack Brockbank to mark Savickas’ major achievement. When Savickas completed the record he commented "It is always great to set a new record, once I got into my stride pulling the 12 Nissan Notes was fine. 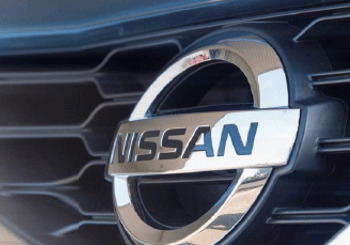 Obviously, a big thank you to Nissan for helping me set the record and making it all possible." Taina Erkkilä, Communication Director of Nissan Nordic Europe said "We at Nissan like setting records and are always aiming high. Today we are delighted to have been able to help Zydrunas set another world record and to see so many people turn out to support him; it was a great way to mark the end of the Lithuanian COTY camp".